We are taught to be the best practitioners, using a humanistic approach and focusing always on the service user needs and wishes. 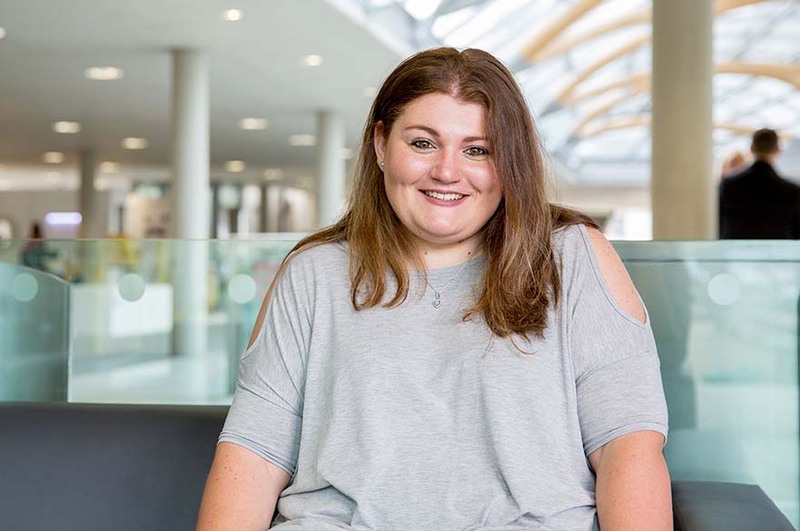 “I chose to study BA (Hons) Health and Social Care in the School of Social Sciences because I wanted to be a social worker and help children in care. It's a broad degree that not only allows students that are in the care setting to progress but is also a pathway to a diverse range of careers. “I’ve really enjoyed studying this course, as I've become a lot more confident and have learned new skills that I can apply in both my personal and professional life. Classes are run in a relaxed environment that empowers us to think for ourselves, to challenge concepts and ideas and to reflect on our practice. We are taught to be the best practitioners, using a humanistic approach and focusing always on the service user needs and wishes. “Outside of the course I've engaged in a variety of activities and experiences, including a visit to Lincoln Crown Court where I was able to speak with a judge. I've also been to the Houses of Parliament and spoken to the MPs, and have watched different films that broaden my understanding of different life styles and choices. I was lucky to be selected to spend a week in Bruges, Belgium, representing NTU at the Positive Parenting Conferences. “The level of support from staff in the School of Social Sciences is excellent – I feel that I can approach staff with my queries and they are always happy to help me or guide me to the appropriate support. I've also received advice and guidance about my plans for the future, and have been accepted to study a Masters in Psychology here at NTU.